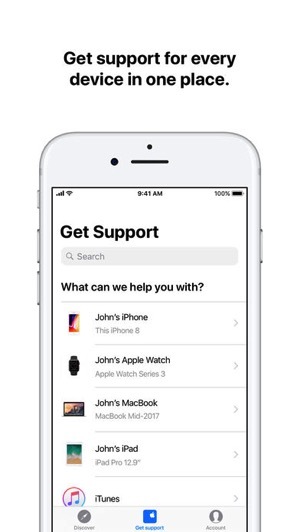 Apple Support for iOS has been updated to version 2.0 which comes with a redesigned user interface, while also adds a Discover section to allow customers to learn more about how to use their products. 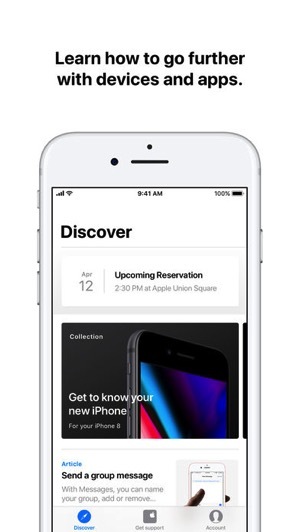 The new interface resembles the App Store in iOS 11 and Apple Music, utilizing cards on the Discover tab to show how to get the most out of your devices. The Get Support tab lists your devices and with one tap you get to see if you’re still covered under warranty. Overall, it’s a much more modern design for the Apple Support iOS app, which first debuted in the U.S. nearly a year ago, and shortly afterwards in Canada. Apple says you can also search their library of articles for help, while the app also includes performance and bug fixes. 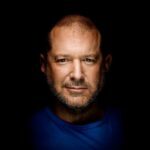 If you need to chat with an Apple agent, the Apple Support iOS app is the easiest way to do so, and the same goes for making a Genius reservation within the app. Click here to download Apple Support for iOS in the App Store.